NEW YORK -- It's become apparent during recent turns through their rotation that the New York Yankees are in need of starting pitching, particularly if they are going to make the deep postseason run many anticipate. But even as they clamor for pre-trade-deadline deals to bolster the staff, there's at least one pitcher Bombers fans bank on. The 24-year-old Luis Severino -- who is 7-1, with per-game averages of 10.3 strikeouts and a career-low 6.5 hits -- has played the role of stopper on occasion already this season. He will have a daunting task before him Wednesday night, though some of the pressure was taken off in the 10th inning Tuesday night when two other under-25 Yankees stars combined to cap another thrilling walk-off win. Because of Miguel Andujar's and Gleyber Torres' efforts in the 6-5 win, the Yankees will be looking for their 10th series victory in past 11 tries when they battle Dallas Keuchel and the Houston Astros in Wednesday's finale. It was after combining for three errors early in Tuesday's game that the rookies Andujar and Torres sparked New York's win. Torres' game-ending single to right drove in Andujar, several pitches after Andujar reached with a two-out double. "I just put it in myself to relax," said Torres, 21. "I just try to put the ball in play and help my team. That's the most important thing for me is to help my team, and any opportunity, when I've got that opportunity, I try to do my job. "When I do my job, I feel better." On the whole, the Yankees have been feeling better whenever Severino takes the ball. That has been especially true whenever he pitches following games in which one of his fellow pitchers struggle. Seven times this season he has helped reset the Yankees' rotation in the wake of short (fewer than five innings) or run-filled starts by his teammates. There have beenSonny Gray's up-and-down outings, highlighted by his five starts of 4 innings or fewer; two games in which Masahiro Tanaka allowed five or more earned runs; andCC Sabathia has also had his share of 4- and 4-inning starts that have forced the bullpen into early action. All but four of Severino's starts this season came after one of his fellow Yankees pitchers failed to get out of the fifth inning. When the ace works after those rocky outings, he has been mostly brilliant, going 4-1 in those games with a pair of no-decisions that also resulted in Yankees wins. This time, he'll be pitching after another short outing from Gray (who went 3 innings last Saturday), and a game Tuesday in which Sabathia allowed five total runs (two were unearned). "Everybody wants to have strong starts, but when they give the ball to me, I just want to go deep. And especially if the guy before me, something happened for some reason and he didn't get deep in his game," Severino said. "I want to go over there and try to do my job and be more economic with my pitches and get deeper into the game to save my bullpen." Deep outings like these have been the norm for Severino. In the seven starts he has made following his teammates' fewer-than-five-inning appearances, he has averaged just under seven innings of work himself. He also has allowed an average of just 1.7 runs in those games. The best of such Severino starts came in his previous meeting with the Astros. On May 2, one day after Yankees lefty Jordan Montgomery pitched just one inning due to an elbow injury he's still rehabbing, Severino went nine scoreless. "I just went there to compete," Severino said, reminiscing on the nine-inning, five-hit, 10-strikeout outing. "I got a great feeling for the ball, for all my pitches. They were great. My fastball was awesome that day, my slider, too. It was just a good day for me." It was a good day for the Yankees, too, who went on to take three of four from the defending champs -- in Houston, to boot, where the Yankees lost all four games during a seven-game ALCS defeat. "That's a great team, and that was my first win against those guys," Severino said. "They always crush me." 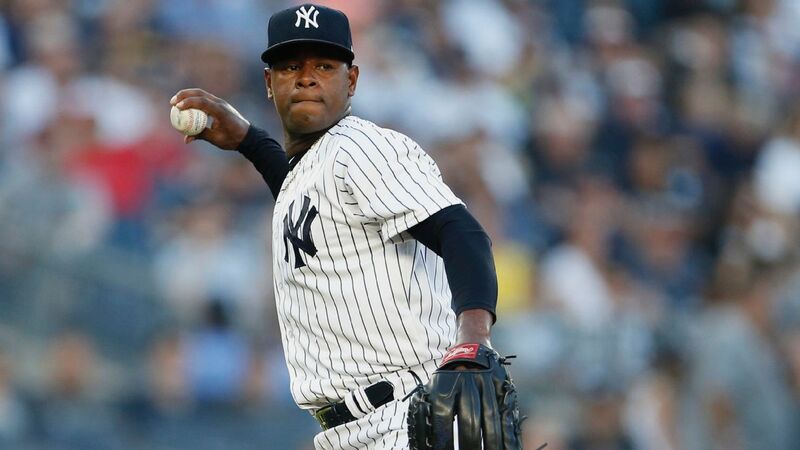 In his two prior regular-season starts against Houston, Severino surrendered nine runs and five walks. In two postseason games against the Astros last year, he allowed six walks, a homer and walked away with a loss in one of them and a no-decision in another the Yankees ultimately lost. Houston's offense has the talent to turn a pitcher's night into a nightmare. Yankees manager Aaron Boone recognizes that, but contends that his team, which knows how to win games late, is up to the test. "It certainly creates problems for us, but it's also, having played now in the middle of our second series in the last few weeks, it's also fun to be a part of these games where you're up against really great competition, where you know you have to play your best and win each game," Boone said. "That makes it fun." Severino will be tasked Wednesday with keeping that fun going. Michael Kay explains that because of the talent and payroll flexibility they have, the Yankees will have better teams than this year moving forward. Brett Gardner's second homer of the game ties it up in the bottom of the ninth, then Gleyber Torres' single wins it in the 10th.